At least 28 people were killed and 30 wounded Tuesday in a series of attacks in Brussels. Two explosions went off at the international airport, one of which appeared to be set off by a suicide bomber according to officials, and a third attack took place at a major subway station. 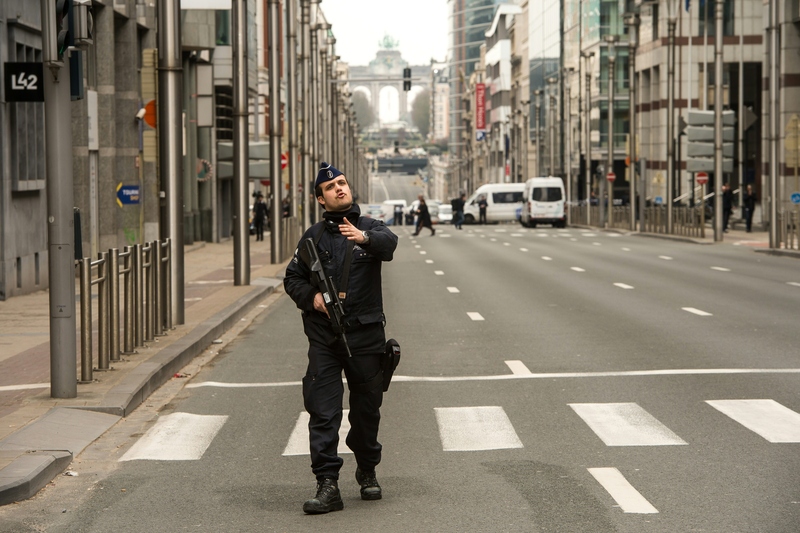 The attacks came just days after Salah Abdeslam, one of 10 men suspected of perpetrating the Paris attacks in November, was found Friday after a 125-day manhunt throughout Brussels. Because of the suspicious timing, many are wondering if Abdeslam's arrest led to the Belgium terror attacks. Update: ISIS has claimed responsibility for the Brussels attacks in an announcement via Amaq, a news service affiliated with the group. Earlier: The police believe Abdeslam organized the logistics for the Paris attacks that killed 130 people, and like the others, he was supposed to die that day. The New York Times reports that Abdeslam told the police he wanted to blow himself up at the national soccer stadium that was attacked, but couldn't follow through. Immediately after the attacks, he returned home to Belgium, where investigators have been searching for him ever since. ISIS took responsibility for the devastating attacks in the French capital, and CNN reports that the militant group could also be behind Tuesday's Brussels attacks. Not much is known yet about the orchestrated explosions in Belgium; however, the timing does suggest that Abdeslam's arrest could have spurred further attacks, though they would have needed to be planned extremely quickly. Europe's intelligence services believed ISIS was planning further terrorist assaults as revenge for airstrikes on the Islamic State's main territories and in an attempt to start a religious war between Muslims and Christians on the continent. Belgium Prime Minister Charles Michel said during a news conference Tuesday: "We were fearing terrorist attacks, and that has now happened." It may be that capturing Abdeslam, who was considered the most wanted man in Europe, sped up already existing plans to attack the Belgium capital. ISIS is known for retaliating when threatened, and Abdeslam's arrest was a major blow to the group and could result in European officials learning more about its operations and how the Paris attacks were conceived. Because so little is known about who attacked the airport and subway station Tuesday and why, it's possible that the incidents weren't directly tied to Abdeslam and just happened to be carried out so close to his arrest as part of ISIS's increasing campaign of terror. As the investigation into the Belgium attacks and Abdeslam's questioning continue, more details about both tragic assaults should be cleared up.